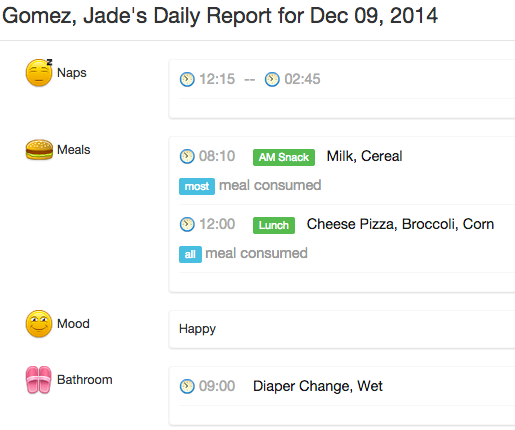 What does California Childcare Licensing say about electronic Sign in-out? Below is a letter that licensing sent to one of our preschools in Santa Clara. California Code of Regulations, Title 22, Division 12, Section 101229.1 requires the Licensee to develop, maintain and implement a written procedure to sign the child in and out the childcare center. 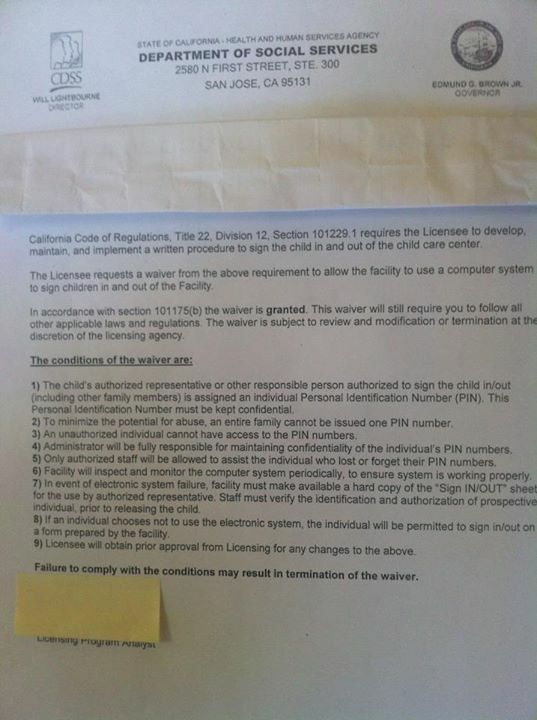 The Licensee requests a waiver from the above requirement to allow the facility to use a computer system to sign children in and out of the Facility. In accordance with section 101175(b) the waiver is granted. The waiver will still require you to follow all other applicable laws and regulations. The waiver is subject to review and modification of termination at the discretion of the licensing agency. I) The child’s authorized representative or other responsible person authorized to sign the child in/out (including other family memebrs) is assigned an individual Personal identification number (PIN). This Personal identification number must be kept confidential. Failure to comply with the conditions may result In termination of the waiver.